At the weekend I watched Rage to Riches on the iplayer ( thanks T). A wonderful documentary about artist Jean-Michel Basquiat. Back in the late 70’s and early eighties, The East Village looked like bomb damaged Berlin and everyone was so young. JMB was only 27 when he died from a heroin overdose. Such a waste. He has been on my mind since. And I thought some of these would’ve been right up his street. 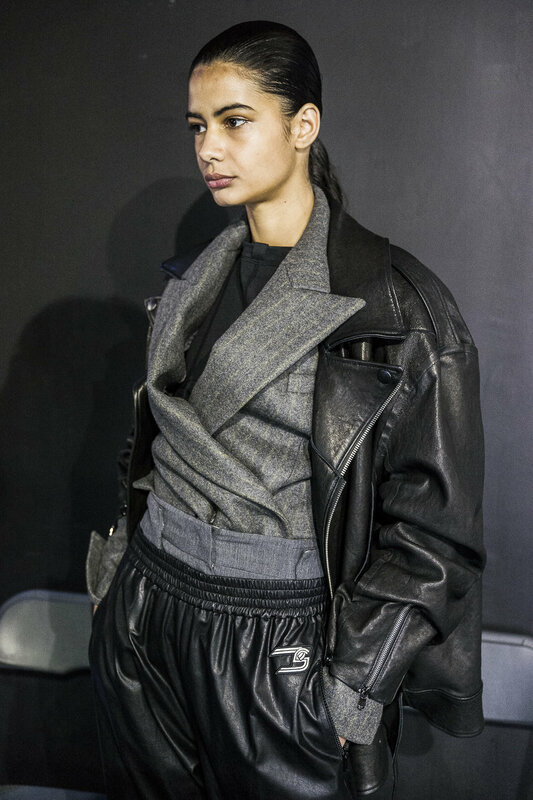 System make its Parisian debut after almost thirty years since its inception in Korea, where today it is a widely established fashion brand. It started operations in 1990 with a womenswear collection that spawned a menswear line in 2008. The brand stands for a progressive take on classicism. Faultless pieces in quality fabrications and loose volumes are meant to be freely interpreted by the wearer. The studied simplicity of the cuts suggests a fluidity and ease in the use. 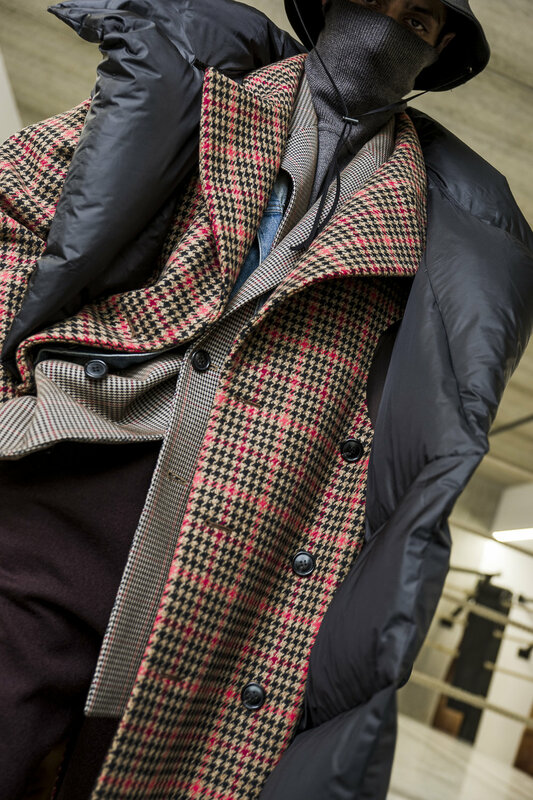 Tailored coats and jackets in big volumes have a brutalist metropolitan appeal that is highlighted by the muted palette of charcoals, blacks and beiges lit by dashes of red. Looks are layered for maximum impact, bringing the duality theme to a bigger scale. The overall image is one of sophistication, with a urban edge. 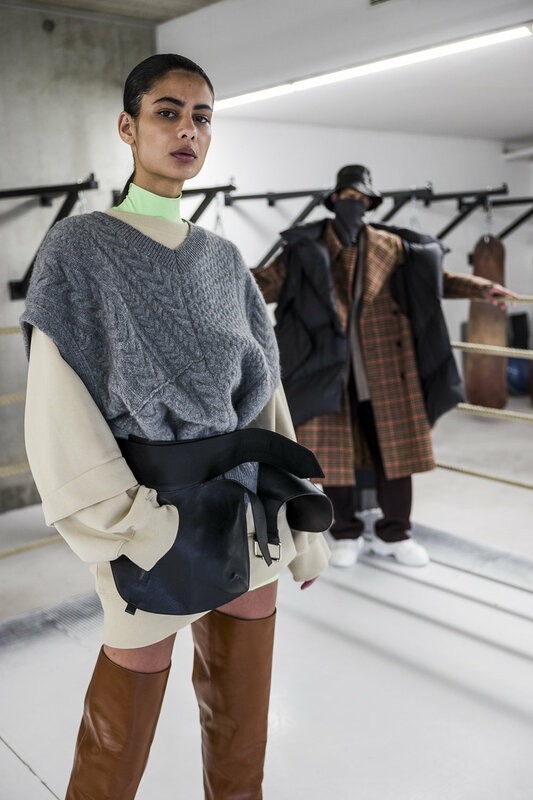 The Autumn/Winter 2019 was presented on a boxing ring, where Duality is the byword, as contrasting elements are united in one single garment, giving pieces a double personality that makes for a bold visual impact.